This was an older free skin that I liked very much, so I decided to spend some time to make it a Master skin. It is a dark skin, but easy for the eyes for everyday use. 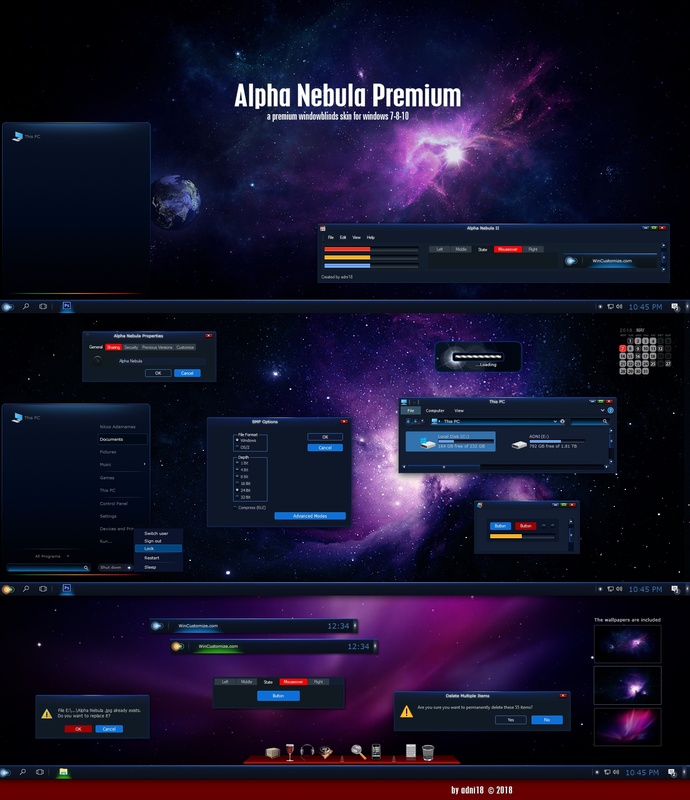 This full featured theme can be used with Windows 7, 8 or 10. The Windowblinds skin and 3 Wallpapers. Nikos I know who you are for sure. how I called you don I have no idea. sorry about that. At first I thought how different can it be from the orginal? But I couldn't help myself and I got the new Alpha Nebula. I have to say that there are a lot of subtle differences from the orginal. It is worth getting!! Great looking and definitely a nice upgrade!